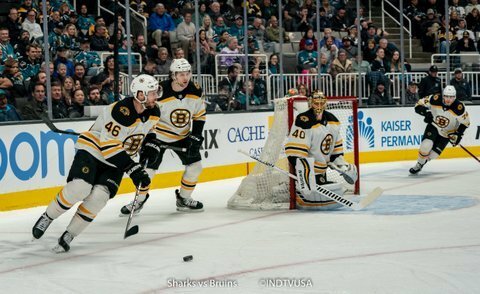 Both teams opened the game playing a very tight defense. 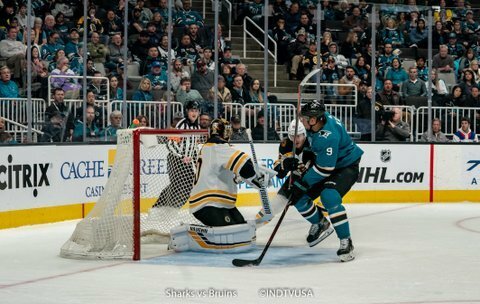 Each team only allowed three shots on goal in the first half of the period. 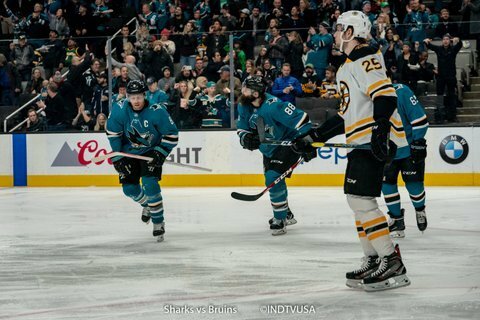 All this changed after the half when the Sharks took two back to back penalties. 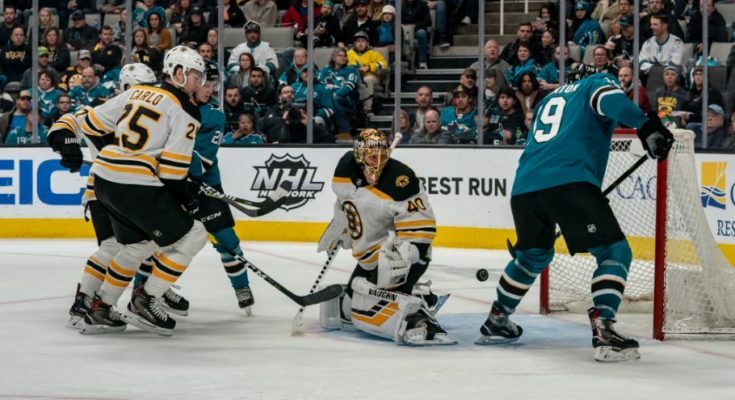 San Jose killed the first penalty but Torey Krug scored on a D-to-D pass with a hard shot from top of the left circle that beat Martin Jones over his shoulder on the short side. 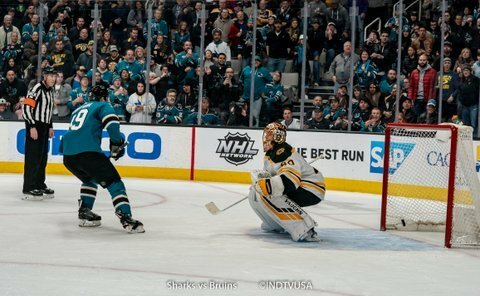 Just three minutes later, Boston won an offensive zone faceoff to Zdeno Chara on top of the right circle and launched a rocket that again beat Jones on the short side. 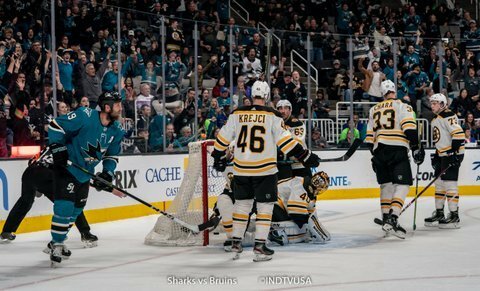 Another two minutes later, Karson Kuhlman scored on a left to right pass, low by the crease, from Jake DeBrusk. 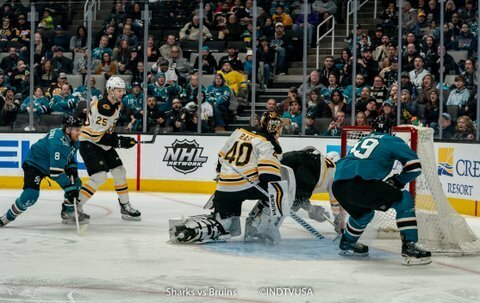 Bruins took a commanding 3-0 lead. 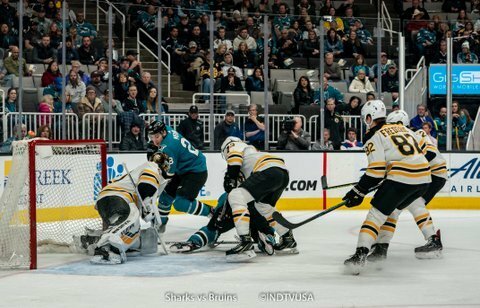 The only redemption from the Sharks came with just 2.8 seconds left in the period. 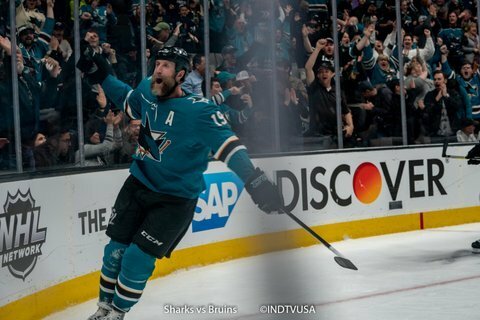 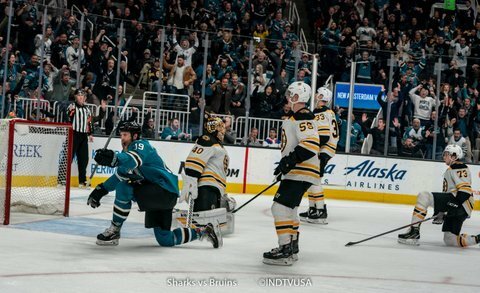 That is when Joe Thornton scored on a rebound from a wrap around from Joe Pavelski. 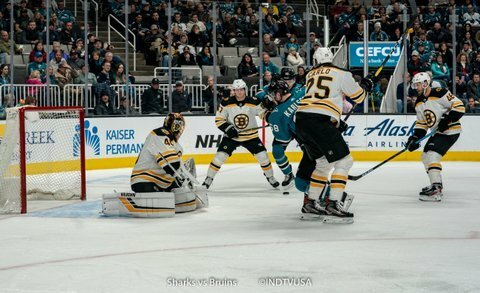 Just over two minutes into the second period, the Sharks got their first power play opportunity. 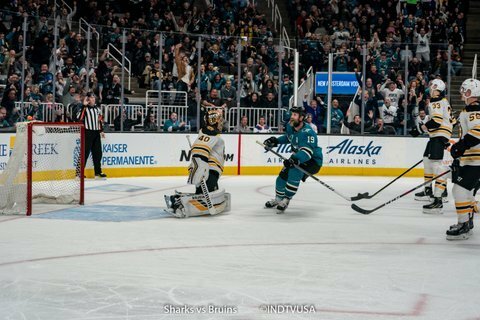 During the power play, Brent Burns took a hard shot from top of the left circle looking for a redirect from Joe Pavelski. 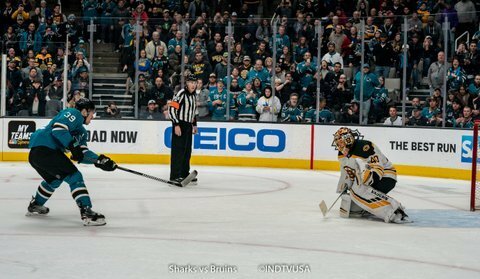 That is exactly what Burns got and cut the Boston lead to just one goal. Just four minutes later, DeBrusk got behind the Sharks D and beat Jones over the glove hand. 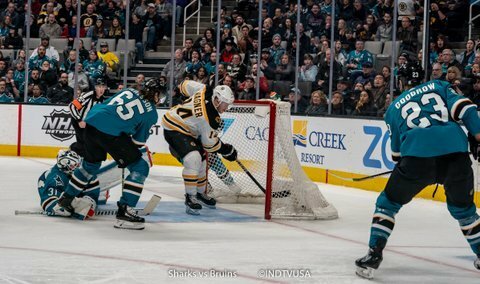 With just four minutes left in the second period, Thornton tapped in a loose puck generated on a shot from Radim Simek. 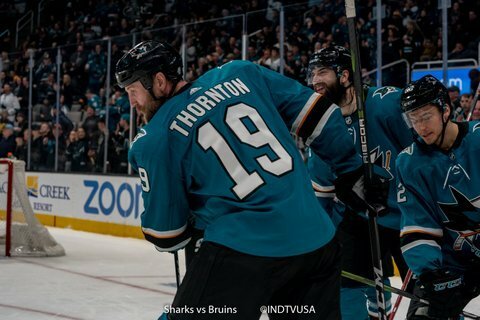 With less than two minutes left in the period, Thronton took a high sticking penalty. 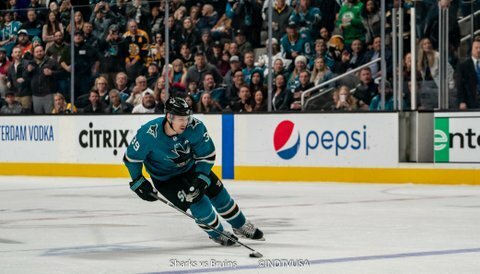 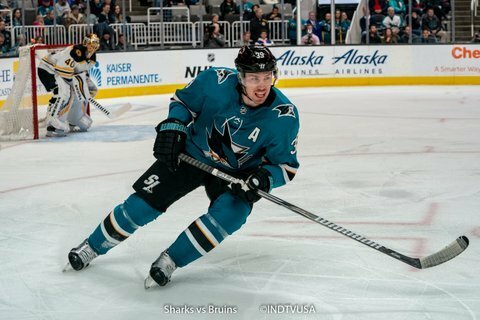 While the Sharks were short handed, Logan Couture got a breakaway but was hooked by Brad Marchand, earning him a penalty shot. 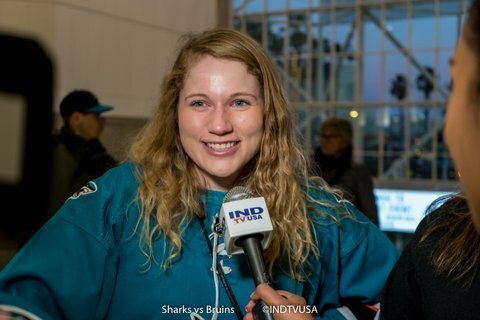 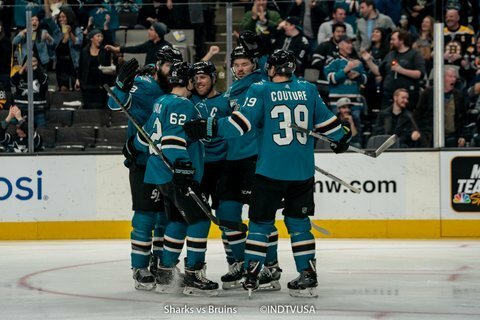 Couture scored on the penalty shot and tied the game at 4. 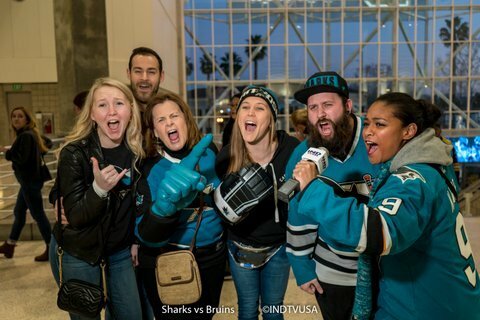 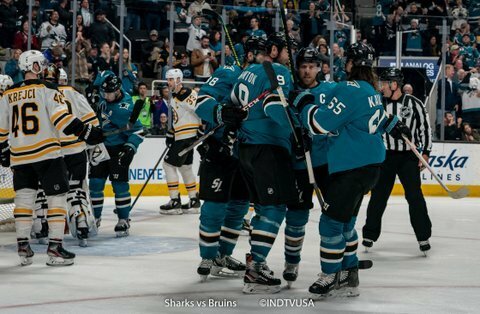 The SAP Center just exploded in a pandemonium celebrating the short handed goal. 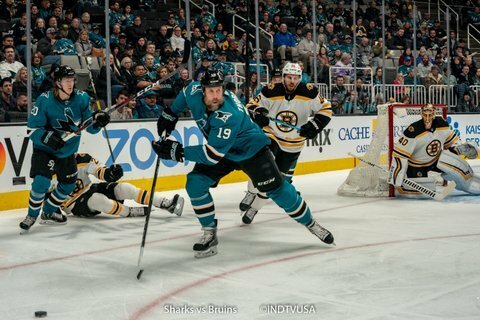 With six and a half minutes left in the game, Thornton received a leading pass from Pavelski as he sped down the slot. 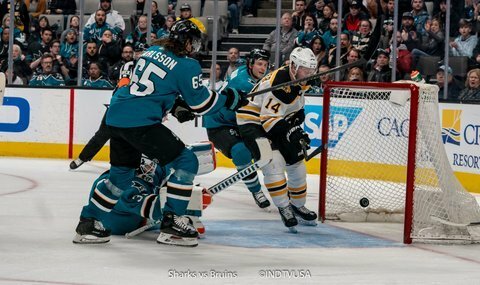 He wristed a shot from high slot that went straight in the net, earning him his 5th career Hat Trick. 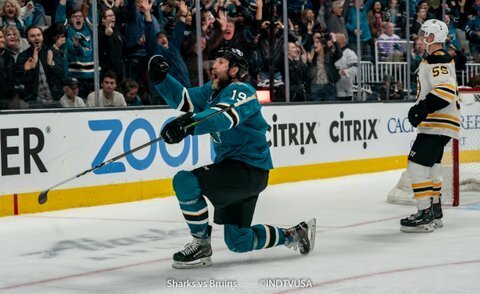 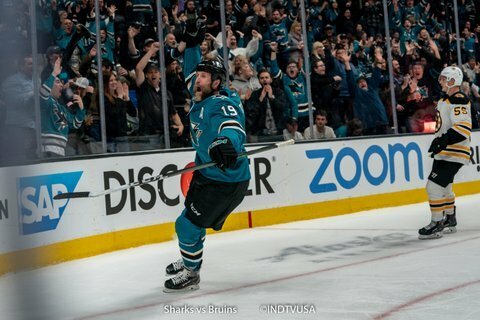 This celebration was even sweeter for Thornton because it came against the team that drafted him in the NHL. 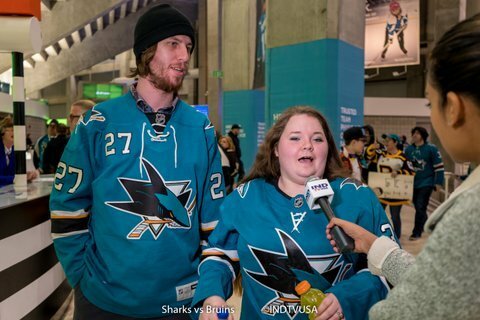 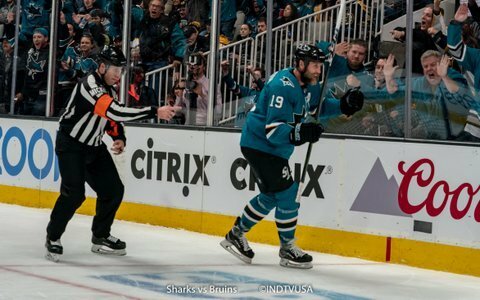 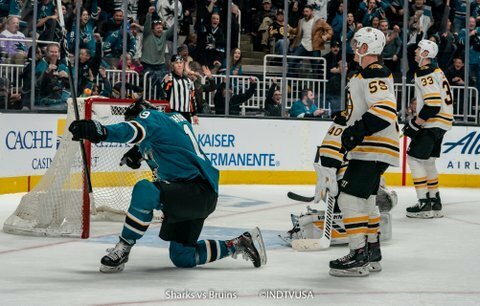 In the last two minutes of the game, Chris Wagner tapped down the puck from above the shoulder height and tapped it in the Sharks net to tie the game at 5. 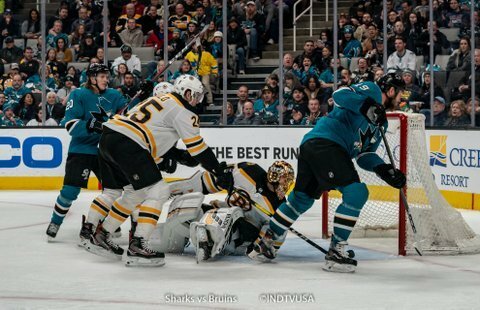 After the review, the goal stood but there was plenty of controversy on that goal. 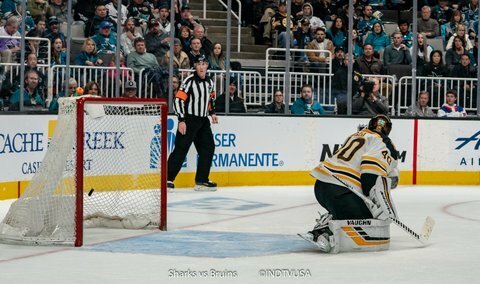 In overtime, Charlie McAvoy scored on a tic-tac-toe pass. 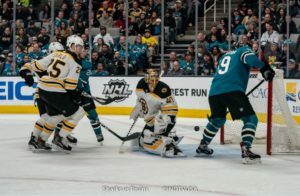 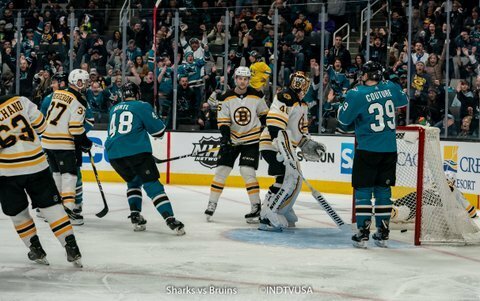 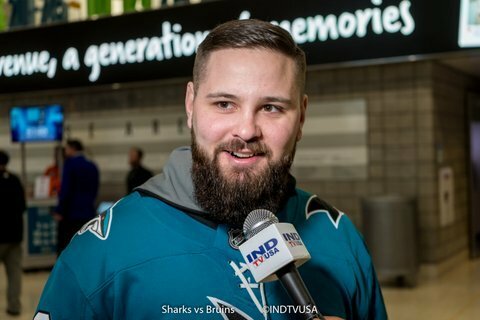 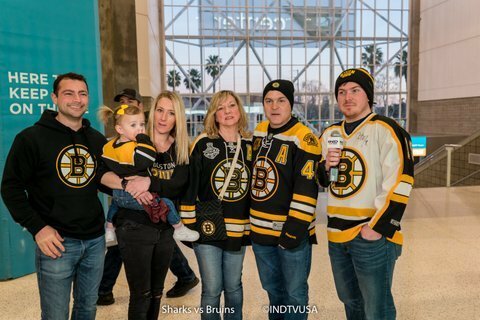 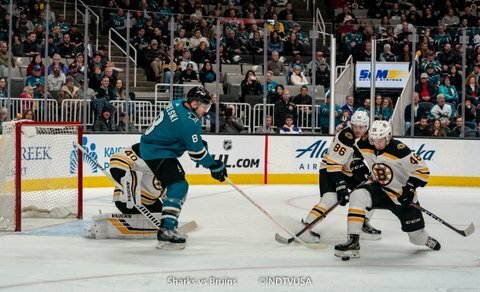 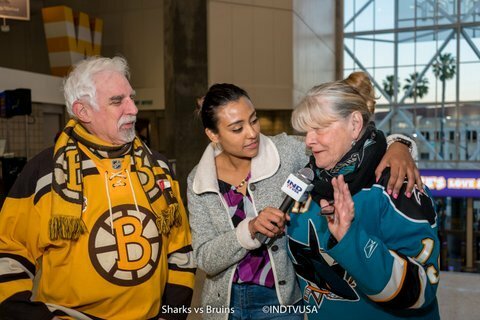 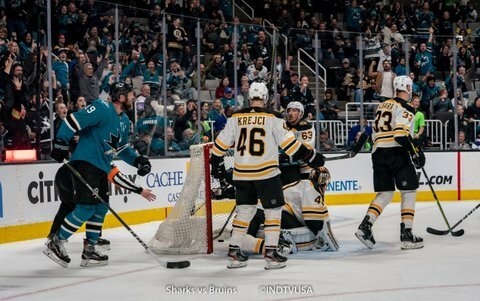 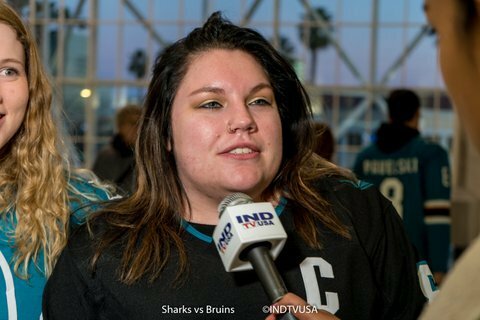 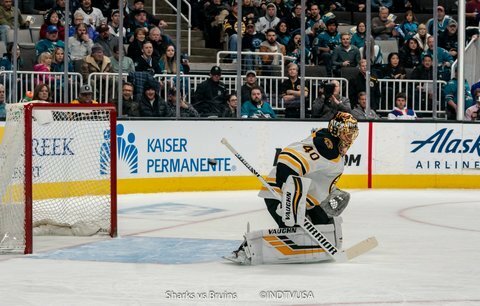 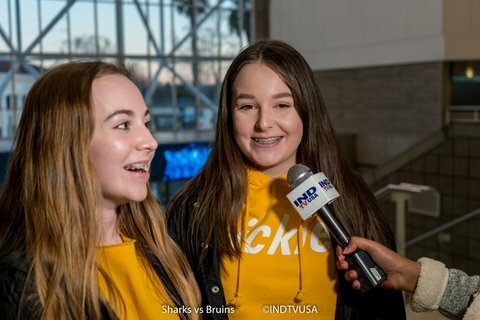 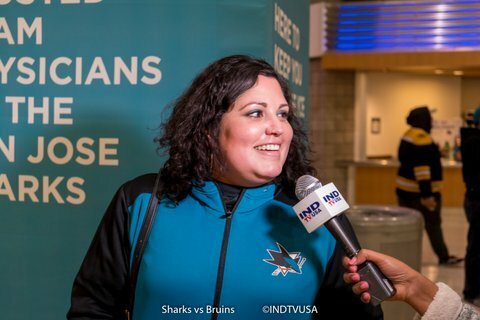 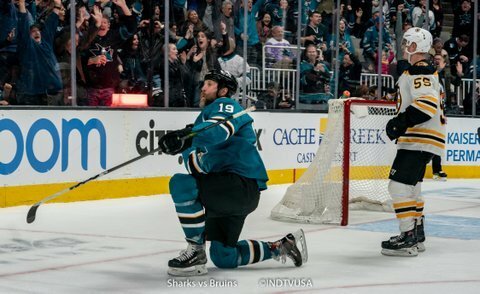 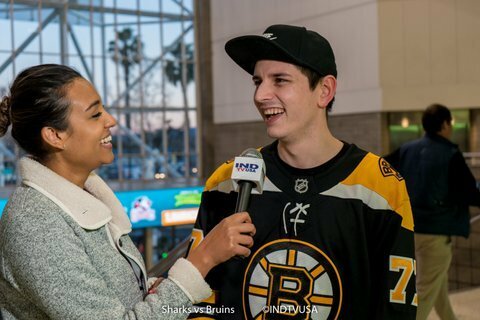 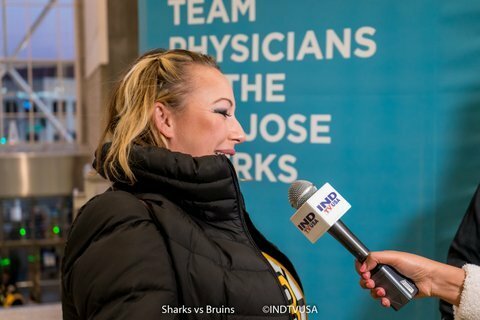 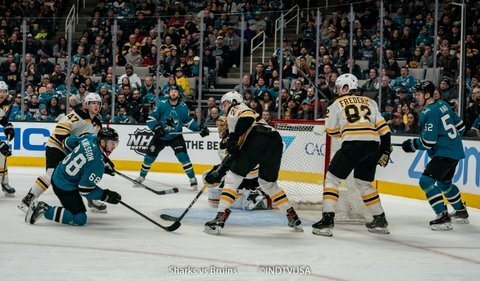 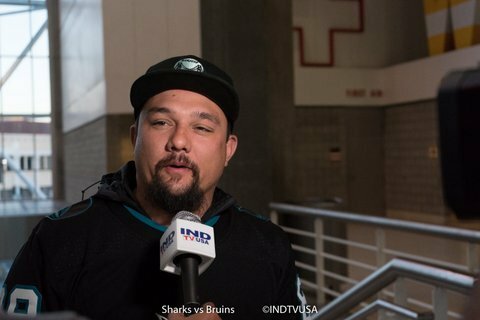 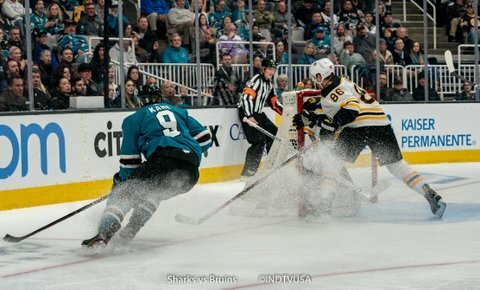 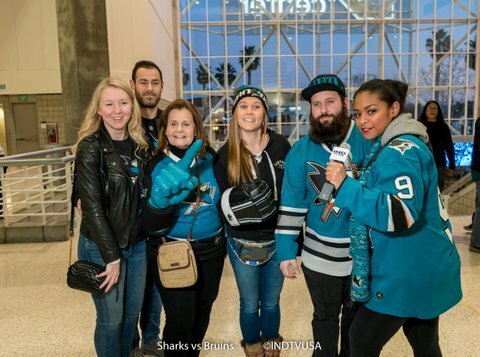 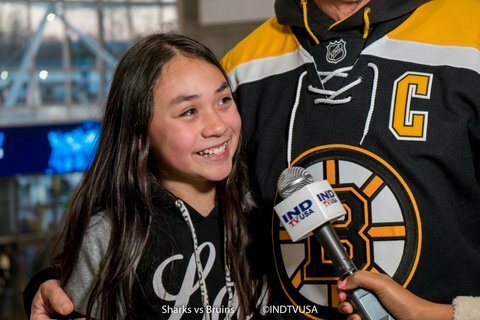 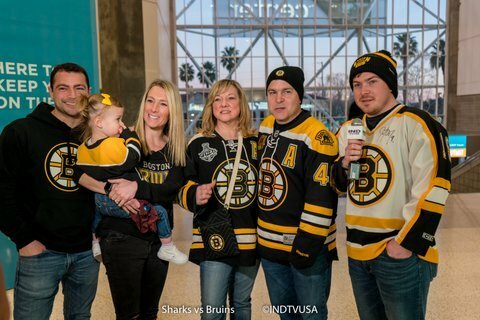 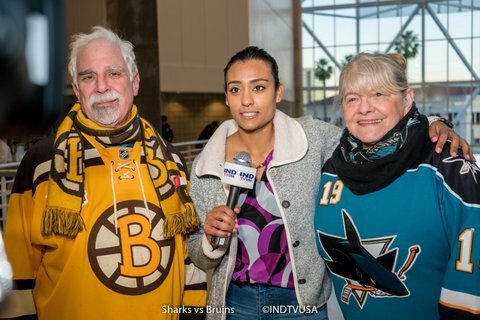 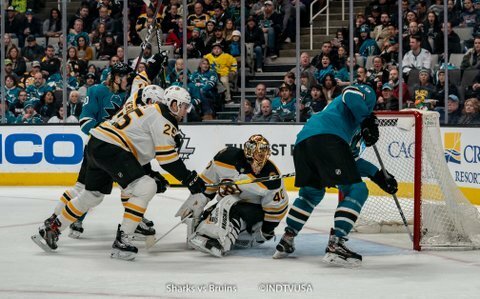 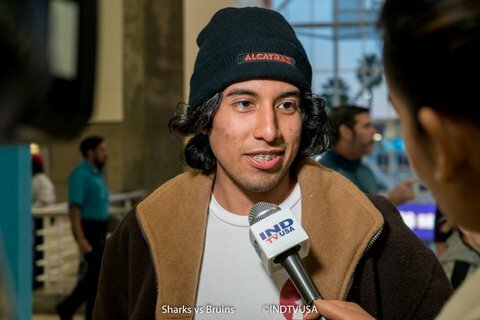 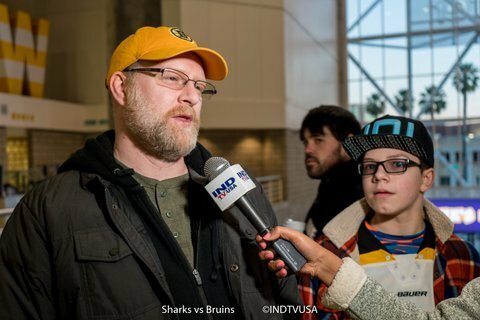 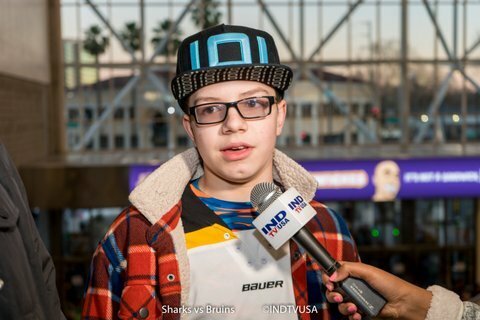 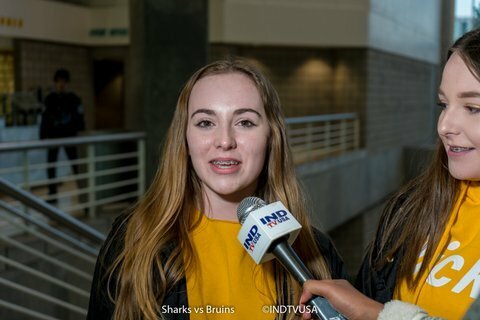 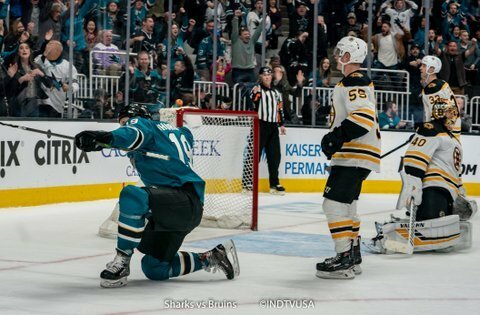 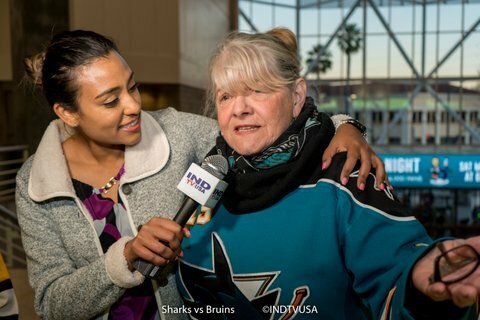 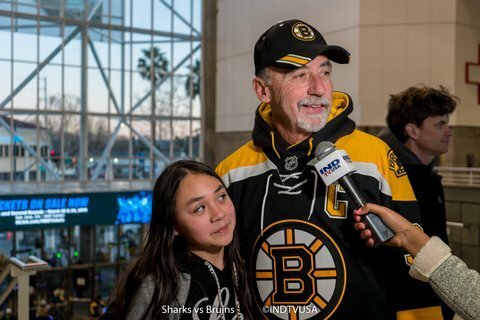 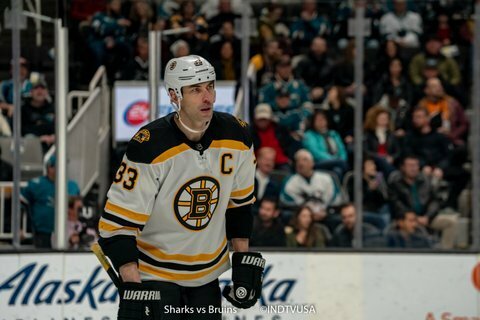 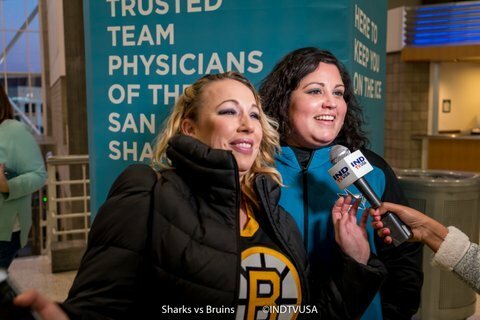 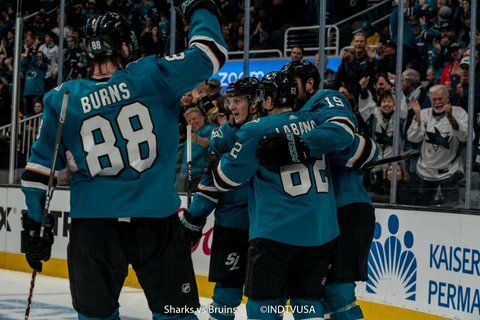 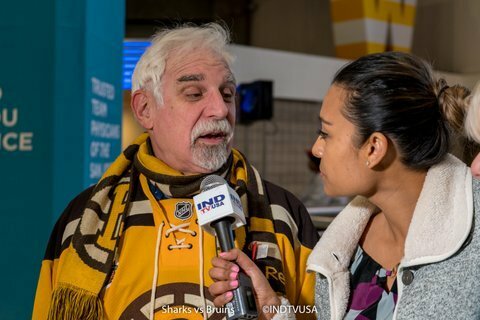 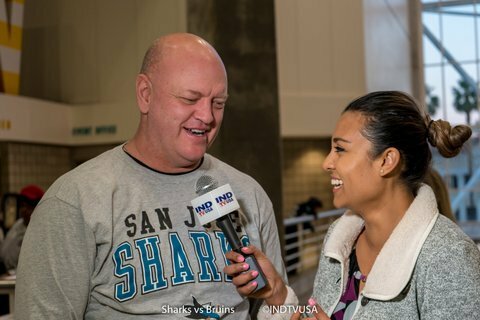 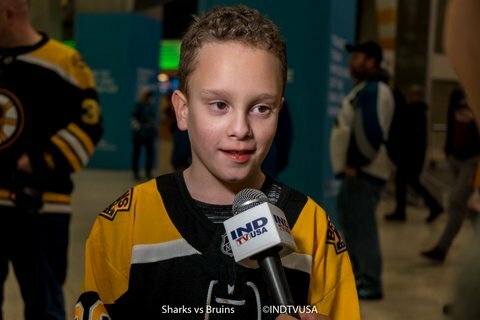 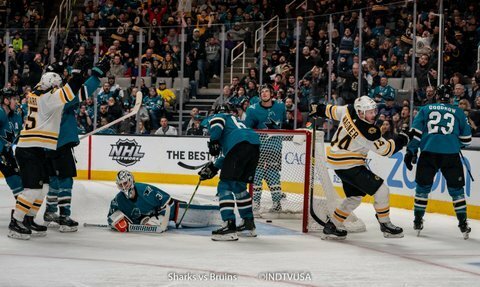 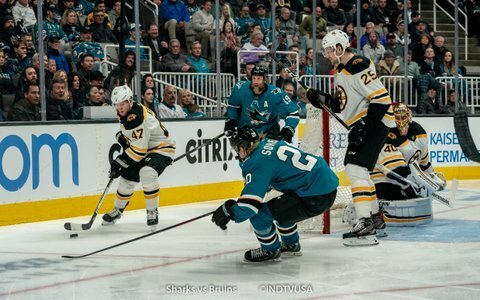 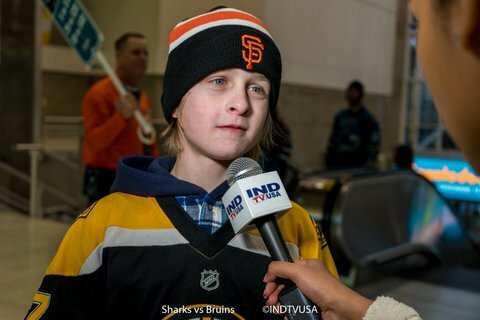 Tonight the Sharks led in shots (38-20), face offs (52%-48%), giveaways (10-6) and takeaways (12-10) while the Bruins led in blocked shots (11-8). 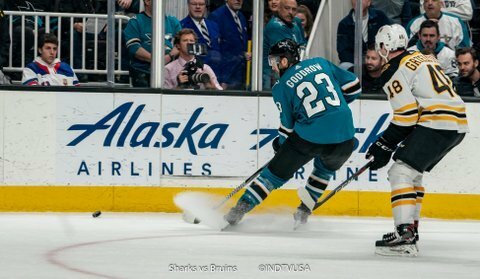 Both teams were tied in hits at 24.